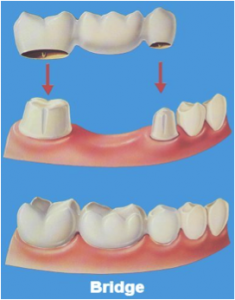 Crowns and Bridges are fixed prosthetic devices which cover teeth or implants. 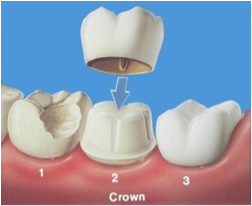 Crowns restore tooth to its original or desired shape, size, color and functionality. Crowns can be made out of metal (including Gold), porcelain, other dental ceramics , or a combination of both; porcelain/ceramic and metal. Metal-ceramic crowns are very durable and are most of the time used on molars. All porcelain/ceramic crowns are usually done for front teeth since they are more translucent, and show no metal at the gum line. 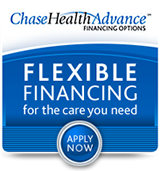 A bridge is a prosthetic, commonly used to replace one or more missing teeth. Dental bridges are false teeth, which are anchored onto adjacent teeth to replace the missing teeth. The false teeth are known as “pontics” and are fused in between two crowns that serve as the anchors on each side of the missing teeth, thereby bridging them together.